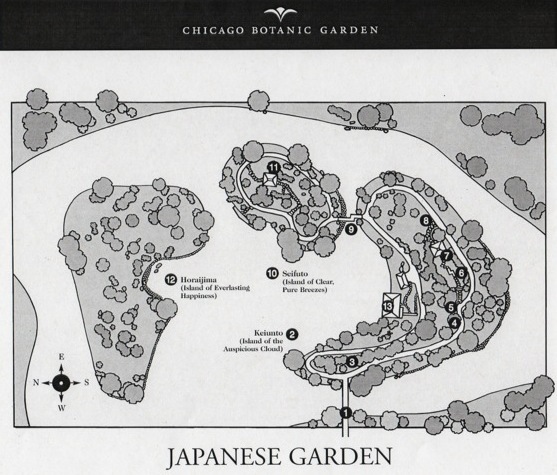 Sansho-en at Chicago Botanic Garden is a 17.3 acre promenade style garden or kaiyu-shiki, a garden style developed during the 17th century. 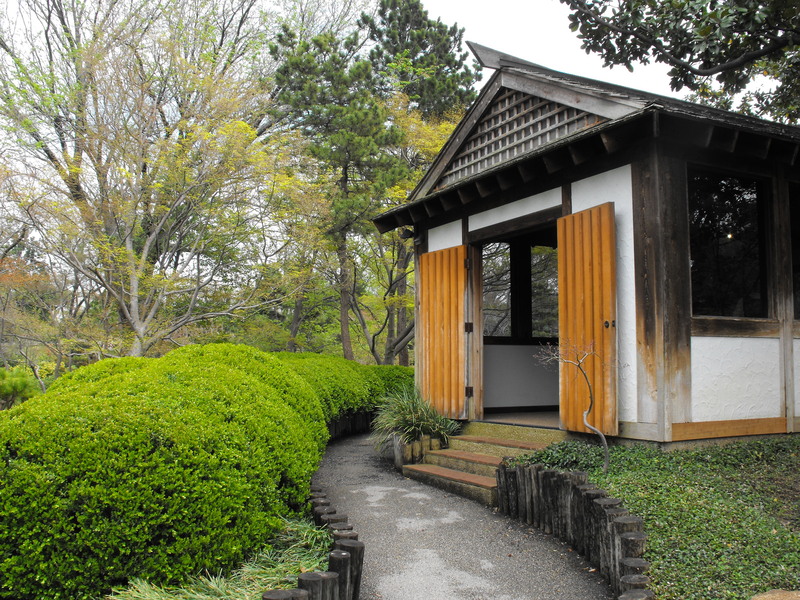 Sansho-en means “The Garden of the Three Islands” – Keiunto, Seifuto and Horajima – visible in a diagram of the garden. 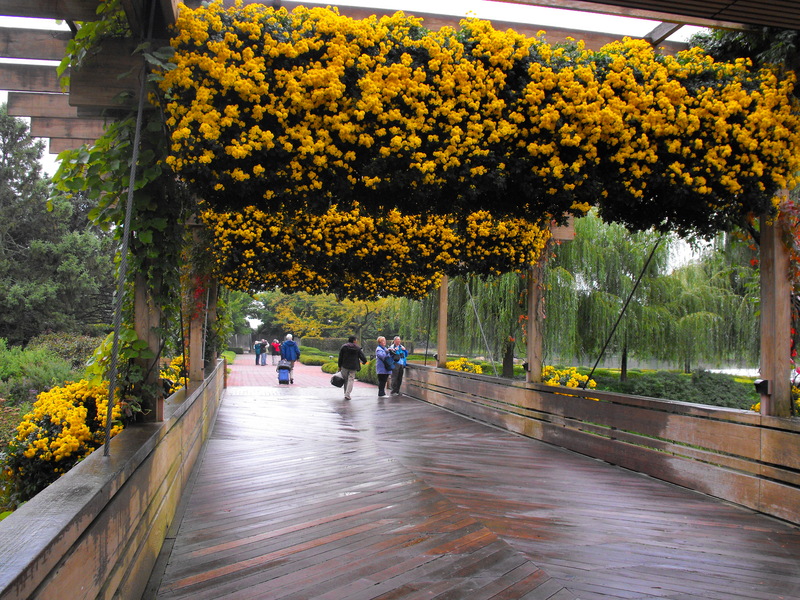 The experience in a stroll garden is to see the garden while walking. Different views appear on the journey along a winding path. 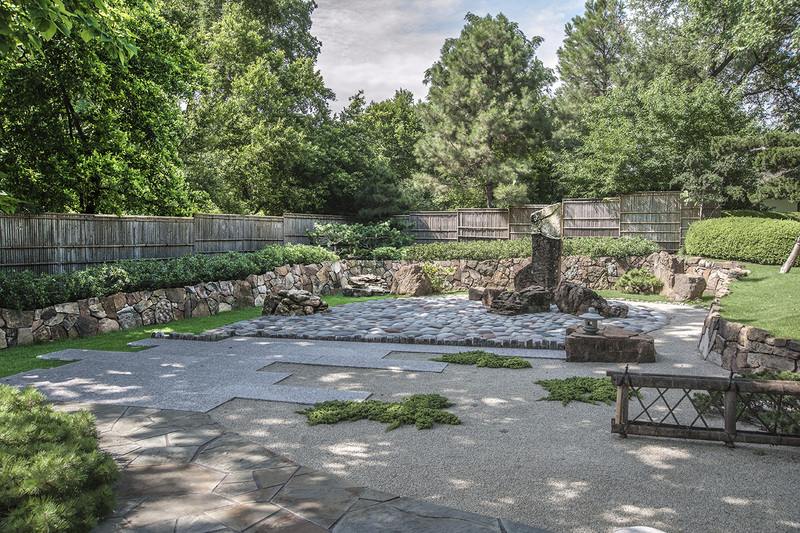 Dr. Koichi Kawana (1930-1990) designed more than a dozen major Japanese gardens in the United States, including Seiwa-en at the Missouri Botanical Garden and Shofu-en at the Denver Botanic Gardens. In addition, he was a professor at the University of California, Los Angeles, where he lectured on Japanese art, landscape design and architecture. 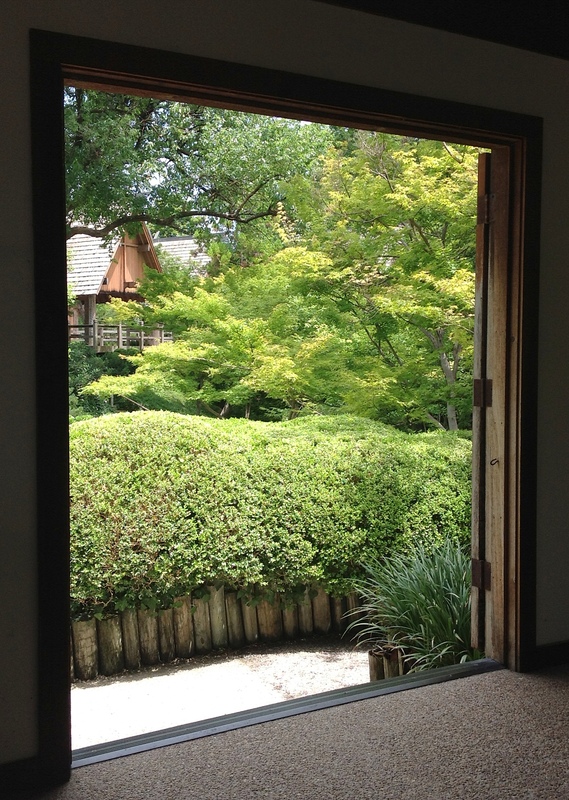 Dedicated in 1982, Sansho-en celebrated its 30th birthday the day we visited in June. Sansho-en also is called the Elizabeth Hubert Malott Japanese Garden. 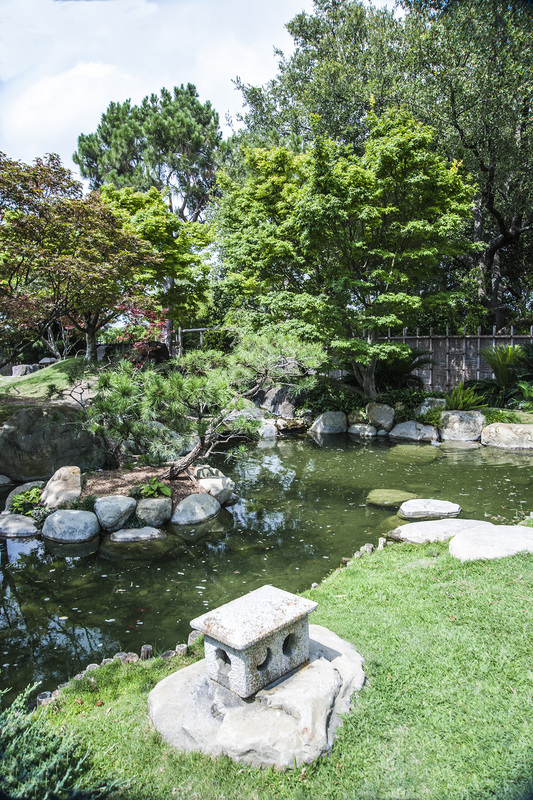 An endowment was created for the Elizabeth Hubert Malott Japanese Garden through a gift from the Malott Family Foundation in 2006, when the garden was re-dedicated. 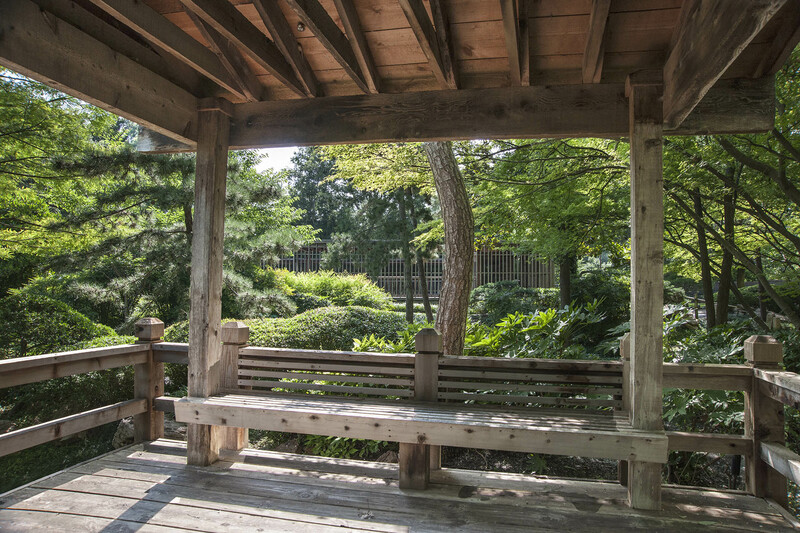 Income from the endowment will provide funds to maintain the Japanese Garden and provide programs that teach visitors about Japanese culture and history. 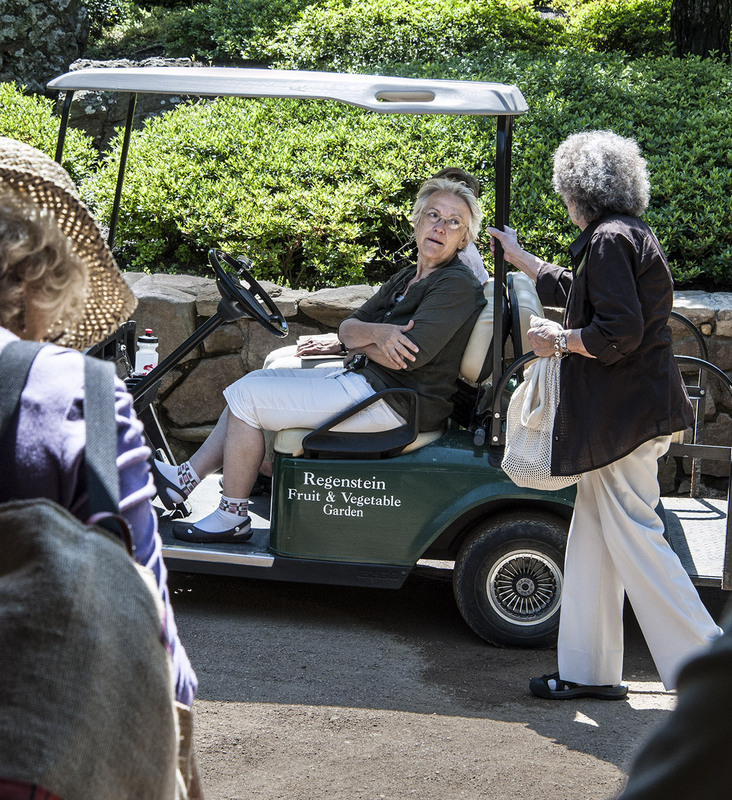 Mary Plunkett travels by maintenance cart between gardens on a busy day. Mary Plunkett is manager of Interpretive Programs at Chicago Botanic Garden and oversees seven gardens. 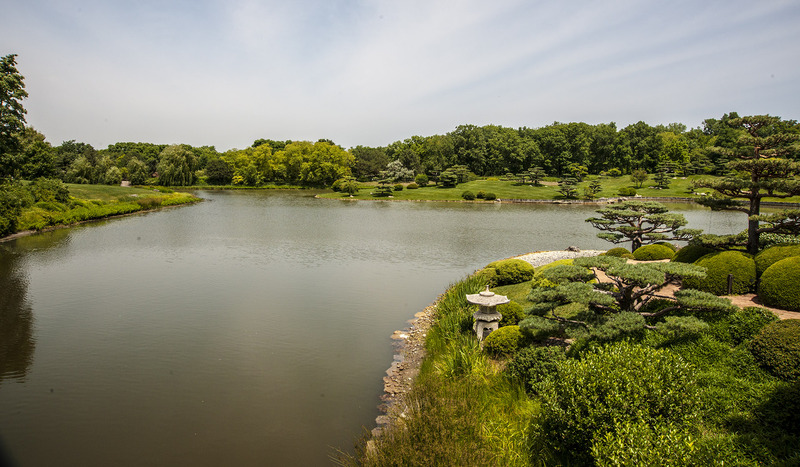 There are nearly 200 interpretive volunteer positions throughout Chicago Botanic, 20 in the Japanese garden. “Our volunteers are here Wednesday through Sunday through the first weekend in October. We track nearly 35,000 visitor encounters during a season,” Plunkett said. Volunteers have an extensive document of information, history, tool identification and frequently asked questions for training and reference. 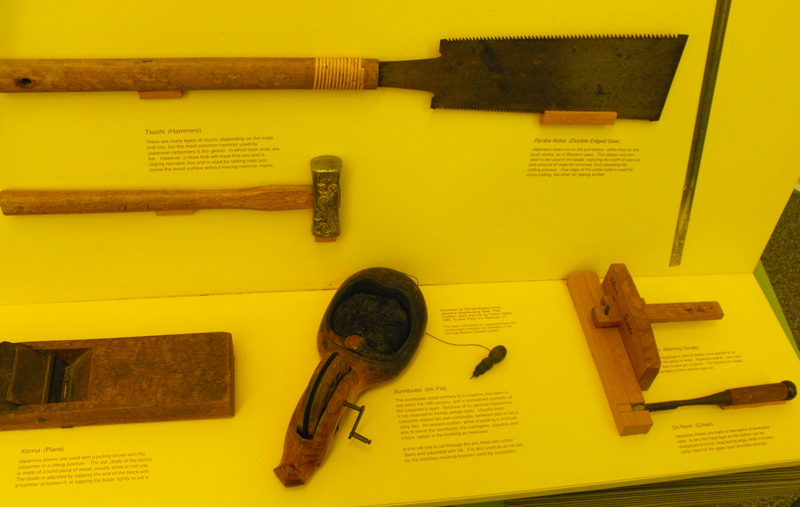 A board to which various tools are attached aids in explaining their uses. Benjamin Carroll demonstrates placement of a peg to which twine is attached to shape trees. 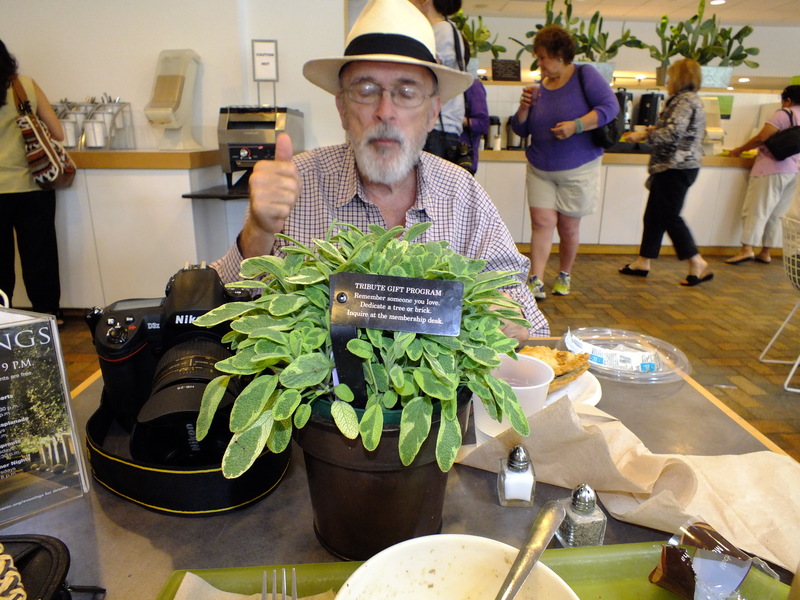 The senior horticulturist at Chicago Botanic Garden, Benjamin Carroll obtained his B.S. in horticulture, Writtle College in Essex, England. Carroll was employed for two years at Cambridge University Botanic Garden before joining the Chicago Botanic Garden staff. 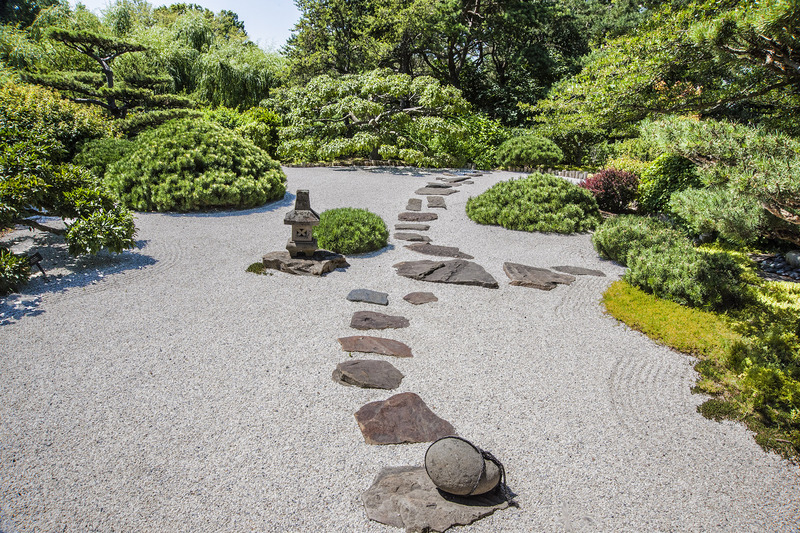 He is a director-at-large for the North American Japanese Garden Association (NAJGA). Chicago Botanic Garden’s facilities are truly delightful. The Visitor Center adjacent to the parking area offers an extensive and well stocked gift shop on the right, an abundant café on the left, an information desk and “Ask A Master Gardener” service. Educational classes, children’s programs, seasonal displays, and membership benefits are a few of the many offerings. 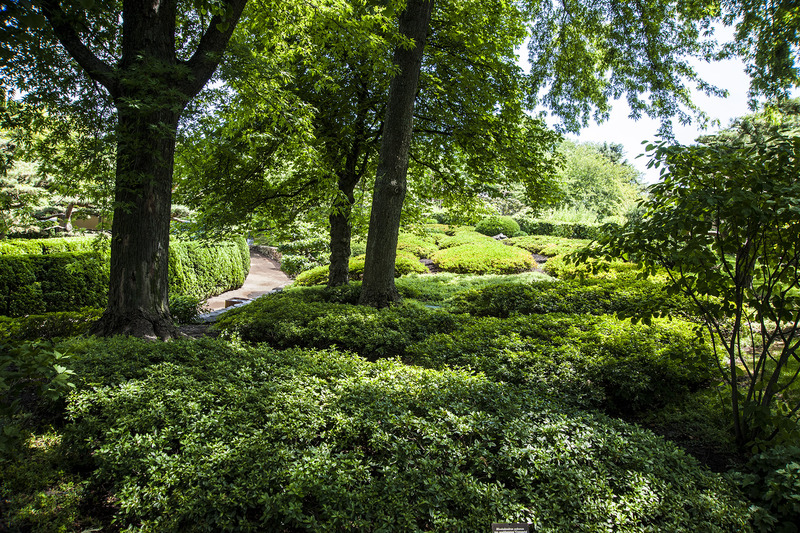 Chicago Botanic Garden offers 25 gardens on 385 acres. Roughly 60 acres are covered by water. 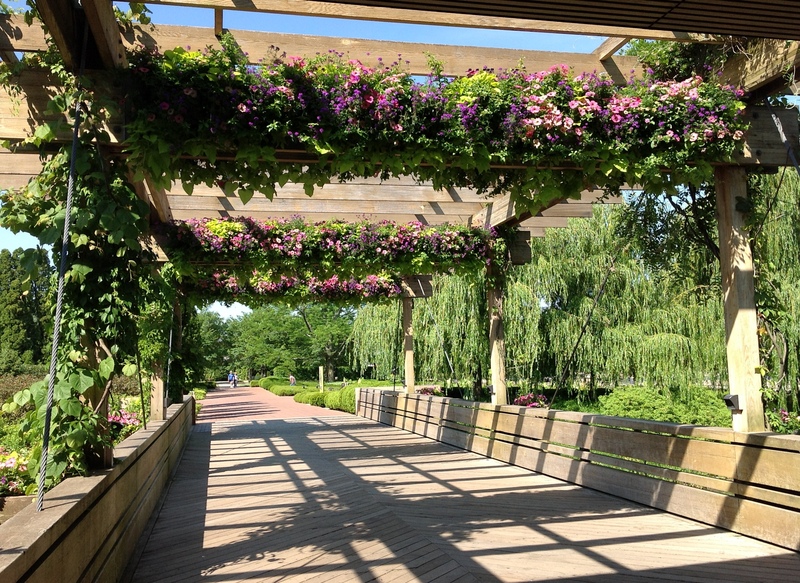 There is no admission charge for Chicago Botanic Garden. There is a fee for parking. To plan your visit, check out the web site for hours, directions, parking fee, transportation, what’s in bloom, etc. 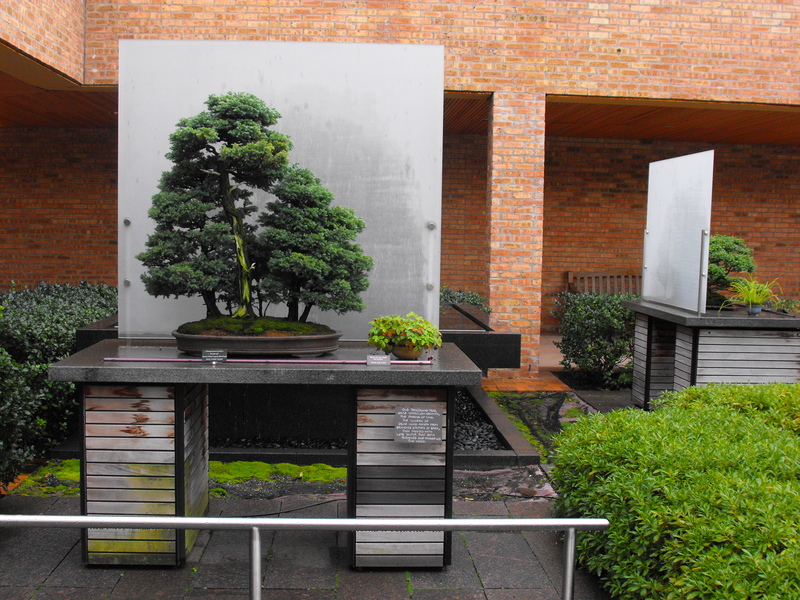 Near the Regenstein Center, a bonsai collection is displayed in outdoor courtyards. Photos not otherwise credited are by K.T. Cannon-Eger. Click on any photo to see a full size image. 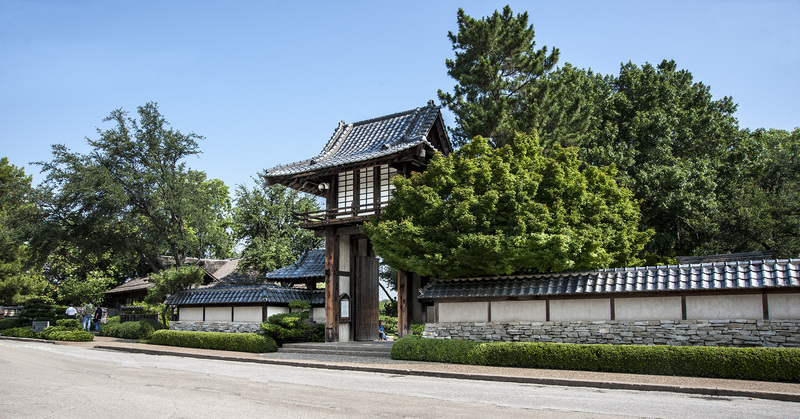 The main gate was designed by Albert S. Komatsu and dedicated to Scott Fikes in 1976. The gift shop is off to the left. 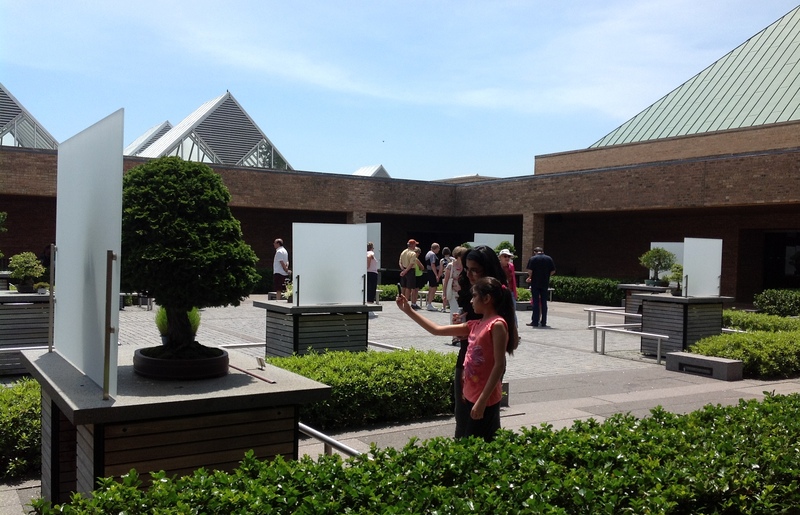 Behind the pavilion area, a small staircase leads to a plaza. Out of view to the right is barrier free access to the same area. Operating hours during standard time are 9 a.m. to 5 p.m. daily and during daylight saving time 9 a.m. to 7 p.m. daily except Christmas. 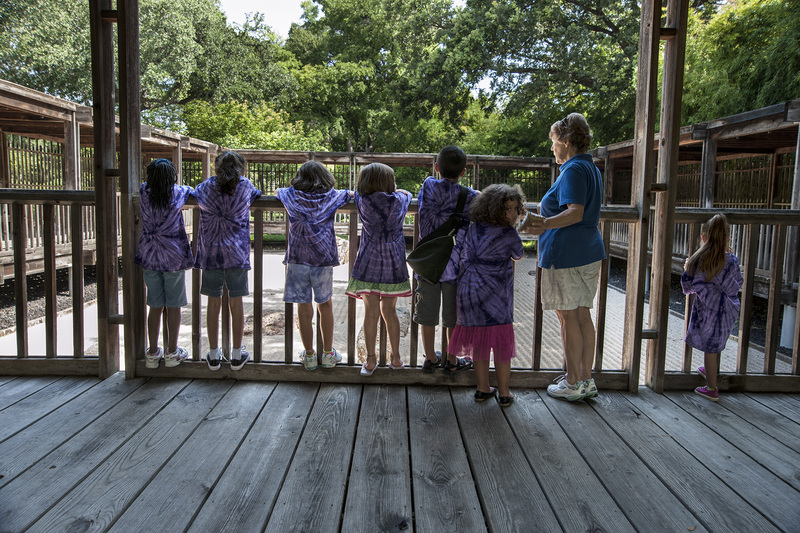 Admission fee for adults is $4.50 on weekends or $4 on weekdays; $3 for children ages 4 to 12. Children ages 3 and under are admitted free. Unsponsored children under 13 are not admitted. One adult may sponsor 5 children. For additional information, call (817) 871-7686. Photos with no credit line in this blog are by K.T. Cannon-Eger. Click on any image to see it full size. There’s something really wonderful about garden friends: you speak the same language, share similar goals, and in the best of times have the same taste in movies and jokes. Scott Brooks is one of those wonderful garden friends. 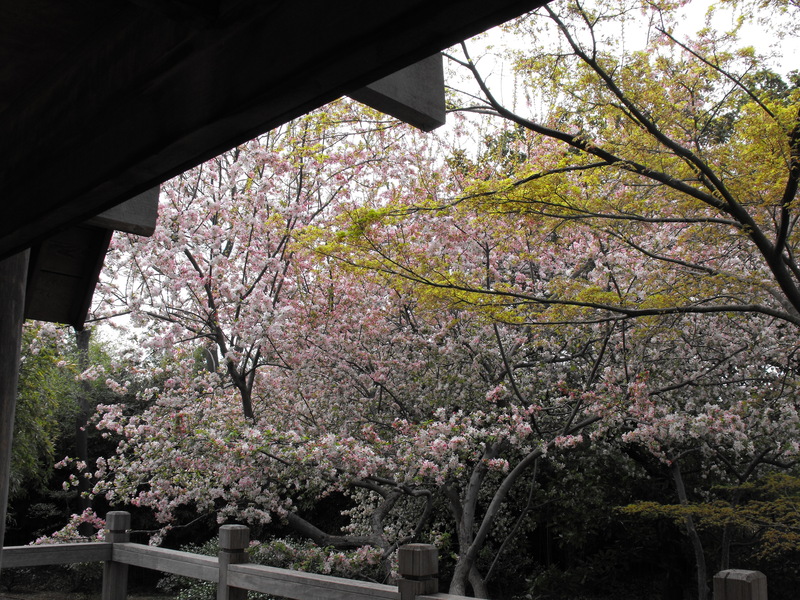 We met briefly in Long Beach, California, in spring of 2009 at the International Conference on Japanese Gardens Outside Japan. A year later, I stopped off in the Dallas-Fort Worth area on my way home from my mother’s death in Florida. My cousin dropped me off at the garden gate and I began my wandering in a somber mood. Pretty soon, I was engaged by the collection of gardens – entranced by proportions, variety and trimming of various plantings. 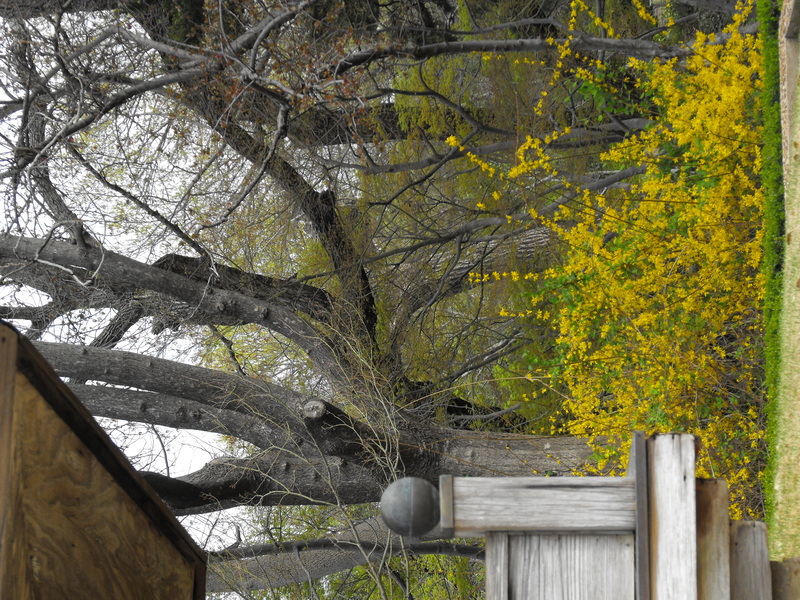 Later, as I approached the end of the path to meet up with my cousin at the gift shop, there was a splash of yellow by the pagoda – forsythia, one of my mother’s springtime favorites. 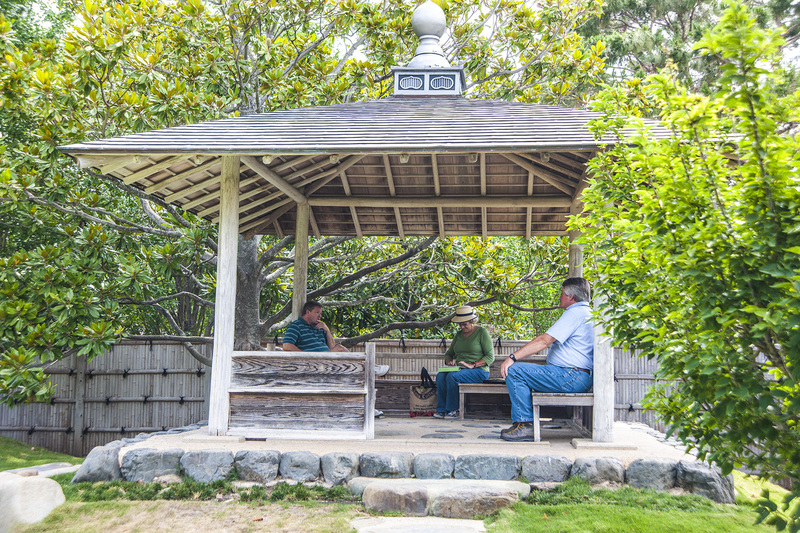 The Long Beach conference not only formed fast friendships, it led to the formation of the North American Japanese Garden Association (NAJGA). Fort Worth hosted one of the regional meetings that led the group from initiative to association. The organization hosts a web site http://www.najga.org/cfm/index.cfm and a Facebook page. NAJGA will host Connections 2012, a conference for garden professionals and enthusiasts in Denver, Colorado, October 12 through 14 with a one-day advance design workshop on October 11. The conference is geared toward three topics every garden deals with: horticulture, human culture and business culture. Contact NAJGA for further information and to register. 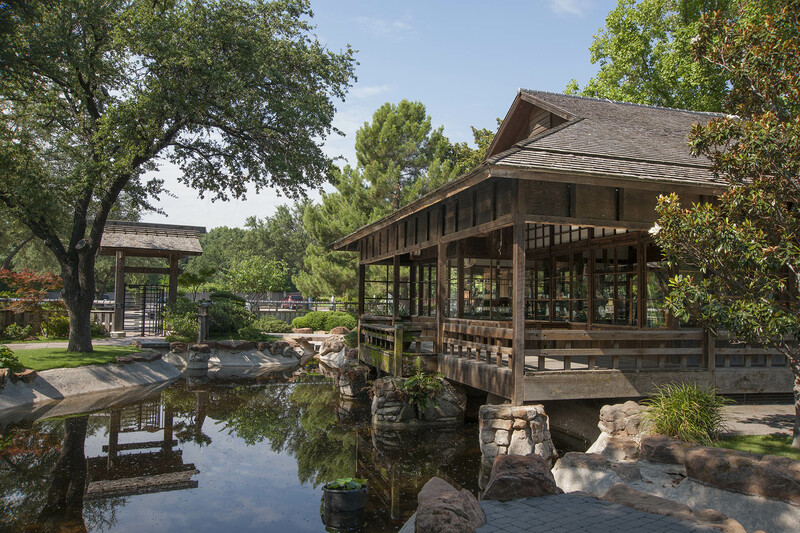 Kumamoto en, the Japanese garden at San Antonio Botanical Garden, is a small polished gem set amid 33 acres of living museum. Enclosed by four bamboo walls, the garden presents a series of scenes reminiscent of famous gardens in Japan. 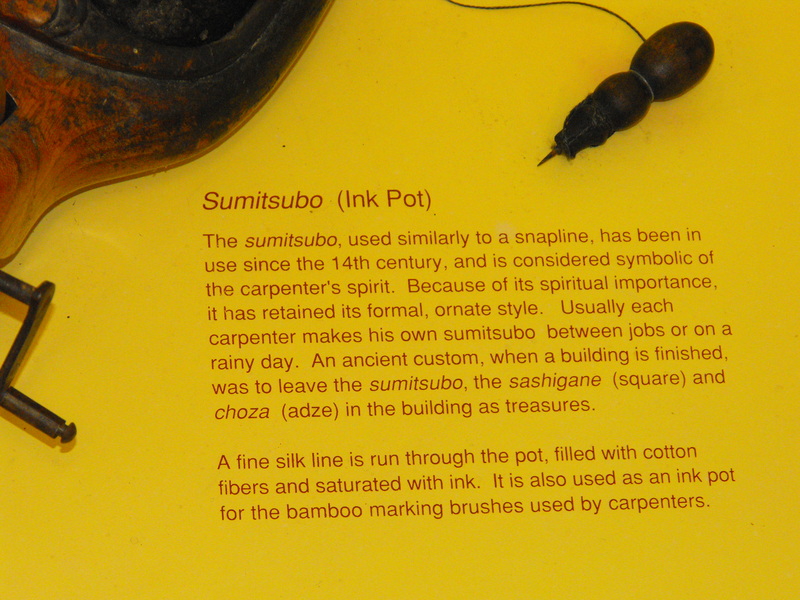 The garden was a gift of Sister City Kumamoto and first opened in 1989. 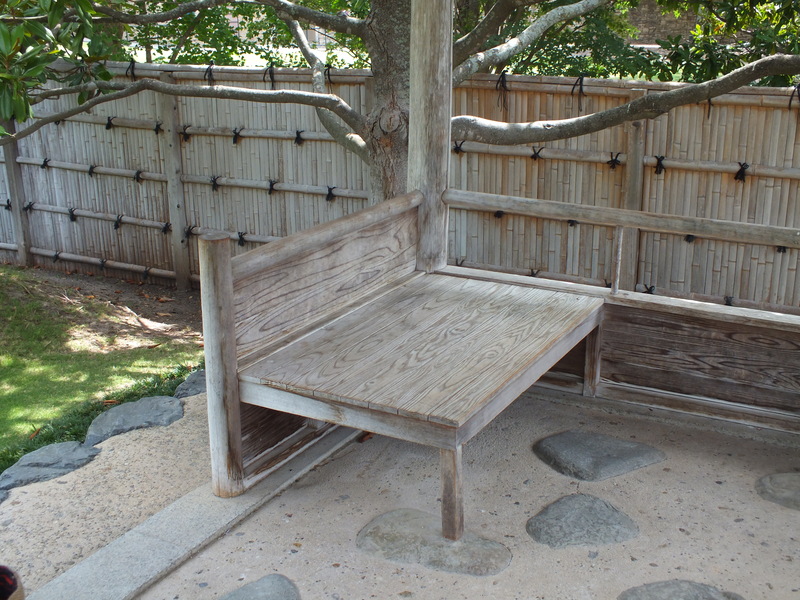 Landscapers and craftsmen from Kumamoto, Kyoto, Tokyo and San Antonio participated in its design and construction. A complete restoration was accomplished in 2005. 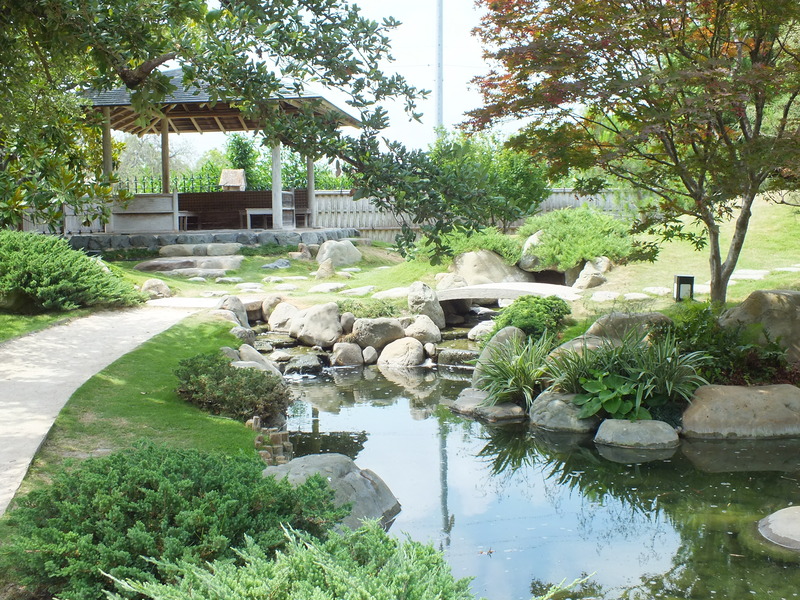 “Kumamoto en was designed to demonstrate the beauty of authentic Japanese gardening and introduce visitors to many elements used in Japanese Gardens. It is designed to be enjoyed one scene at a time, like a scroll painting, unrolling as you stroll through,” Pylant said. Pylant was our guide through Kumamoto En. And what a perfect person to have as a guide to this lovely garden! Although Don currently serves as Park Operations Supervisor in a different area of the City of San Antonio Park Development Division, he spent nearly 24 years working in the San Antonio Botanical Garden. 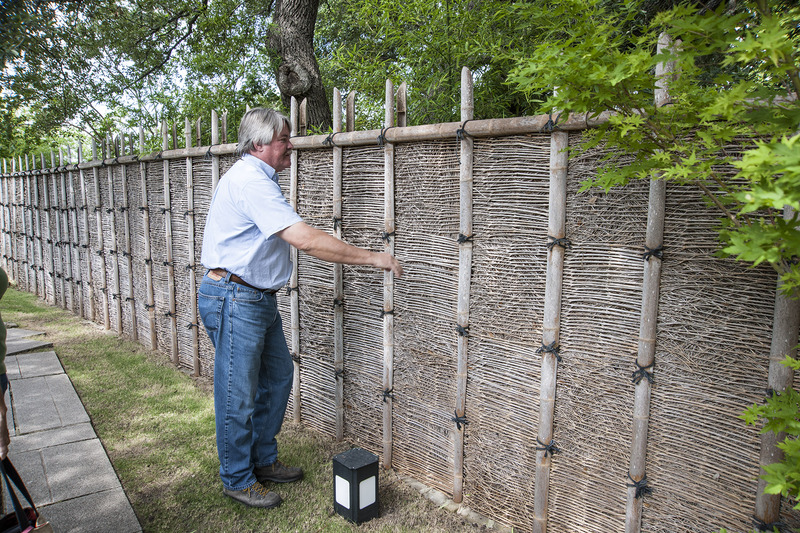 His love of Japanese gardens goes back further to his time in Dallas where he was Director of Horticulture at Dallas Civic Garden Center in Fair Park. 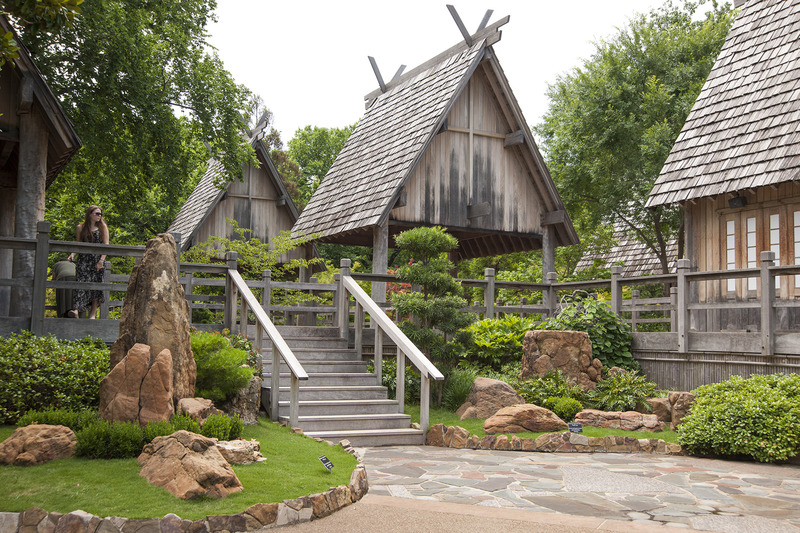 He would spend time at the nearby Fort Worth Botanical Gardens’ beautiful Japanese garden, which inspired what would become a deep appreciation of Japanese gardening and a life-long commitment. In 1980, Don moved from Dallas back to San Antonio to become part of the brand new San Antonio Botanical Gardens, where he participated in the development of gardens, growing facilities, educational programs, and construction of a botanical conservatory. 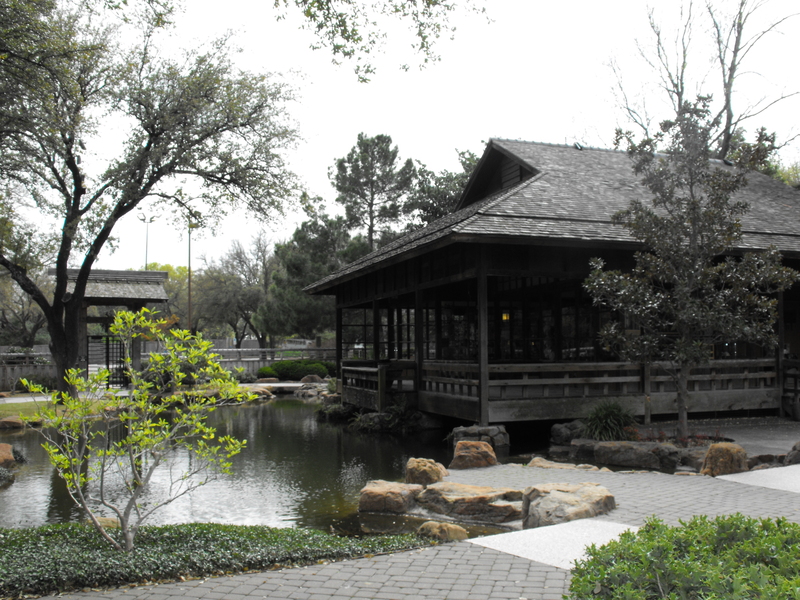 In 1985, the Japan America Society of San Antonio was formed to foster increased understanding and cooperation between the citizens of San Antonio and the citizens of Japan. 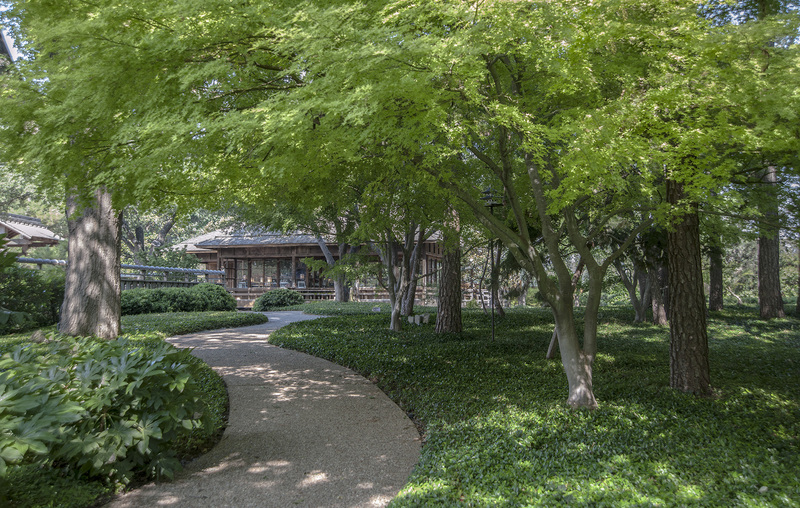 Among early efforts was the construction of a Japanese garden in San Antonio. 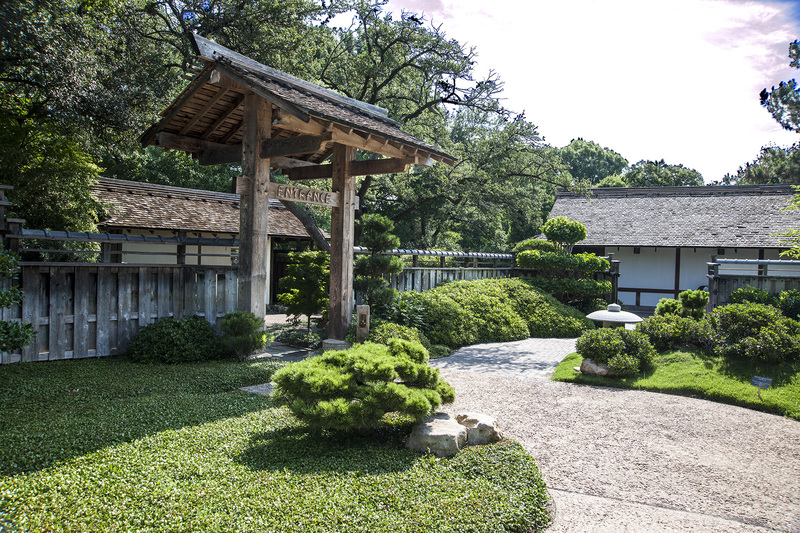 In 1989, the City of San Antonio and sister city, Kumamoto City in Japan, jointly agreed to construct an authentic Japanese garden in San Antonio’s botanical garden. Don was involved in the planning and construction of this garden, working with architects in Kyoto and gardeners in Kumamoto, Kyoto and Tokyo. 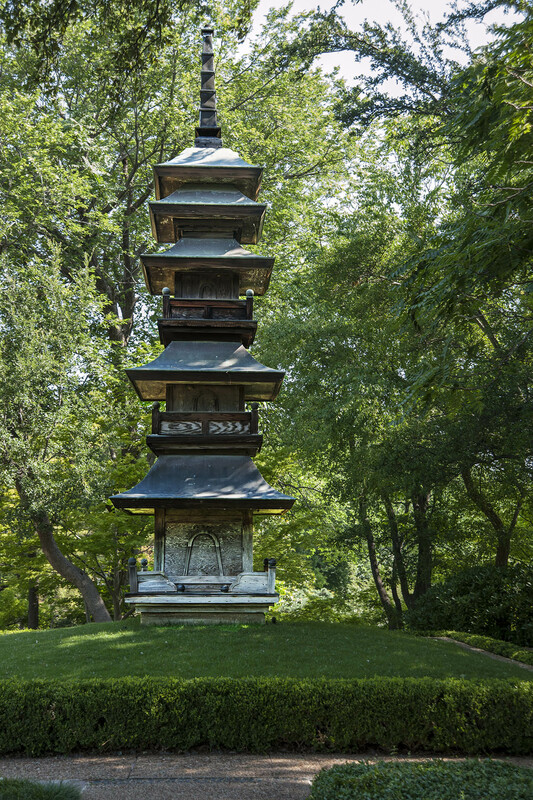 Don studied under master Japanese gardener Katsuoki Kawahara, a respected craftsman known for his work in temple gardens as well as commercial and residential gardens in Japan and around the world. Kawahara directed the team of professional gardeners selected from Kyoto, Tokyo and Kumamoto in the construction of Kumamoto En. 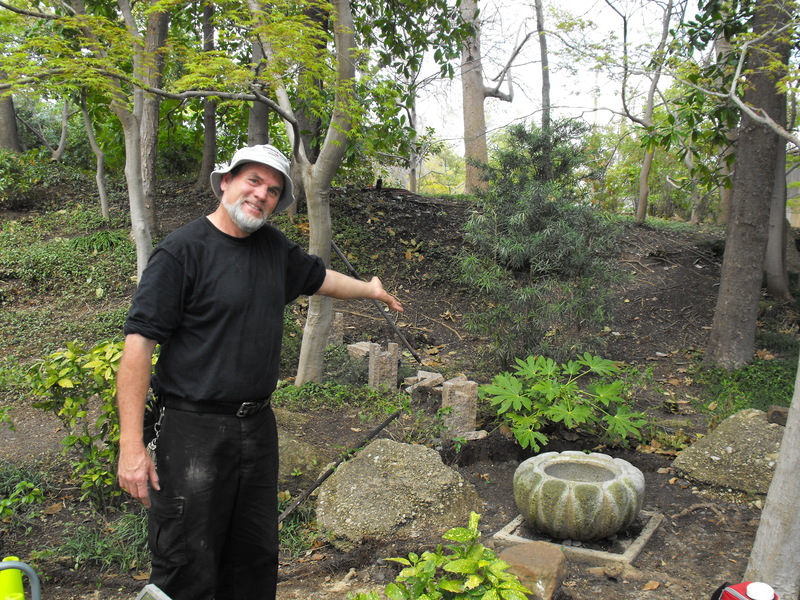 After the construction, Don was responsible for the care and maintenance of the garden, and worked with gardeners from Japan in the garden. In 2001, Mr. Kyoshi Yasui of Yasui-moku Company and the architect for Kumamoto En invited Don to come to Kyoto to train under master Japanese gardeners, architects, and bamboo craftsmen. 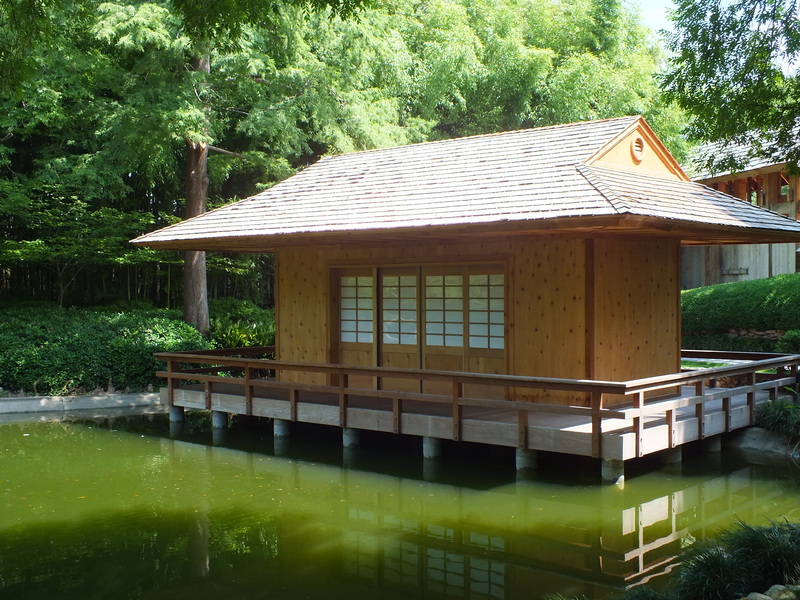 He studied under Yasui, a respected architect nominated by the Emperor as a National Living Treasure of Japan. 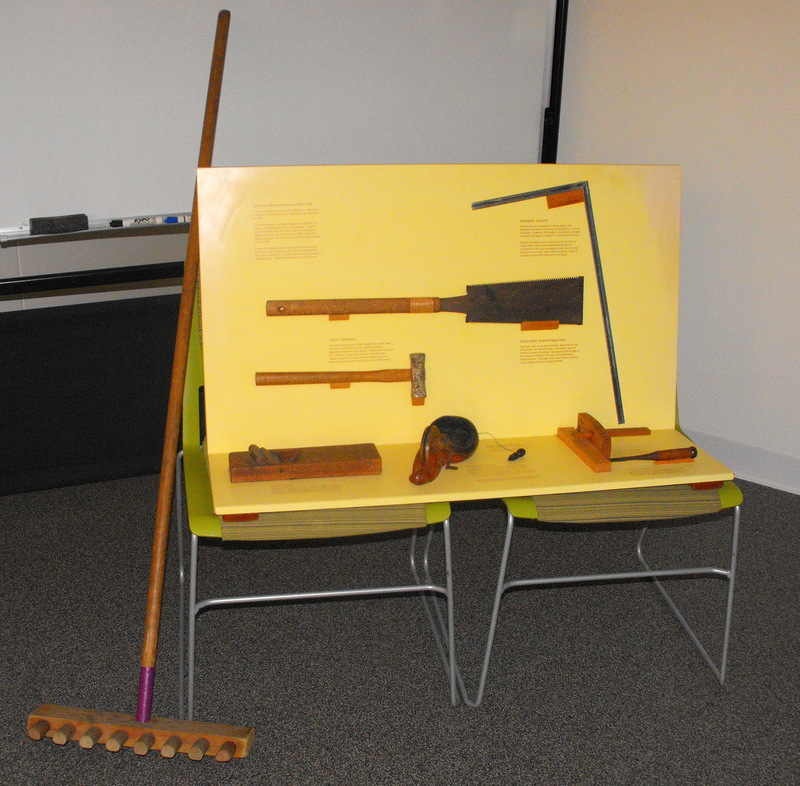 Don also studied under the master bamboo craftsmen at Otsuka Bamboo in Kyoto. 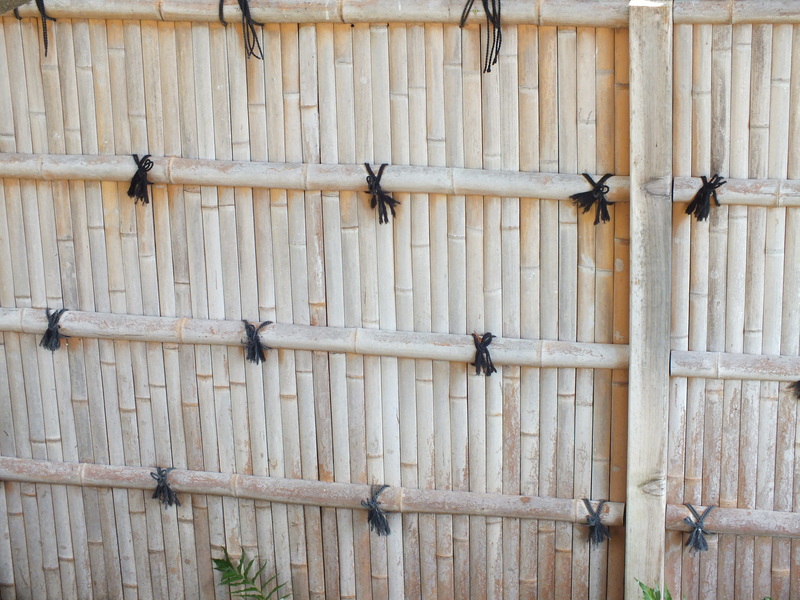 The benefit of this training is evident in the four different bamboo walls surrounding Kumamoto en. “All of this leads to a beautiful and authentic experience for our visitors,” Don said. A suggestion of Mt. Aso-san, one of Kumamoto’s volcanoes, awaits the viewer to the right of the end of this pathway. 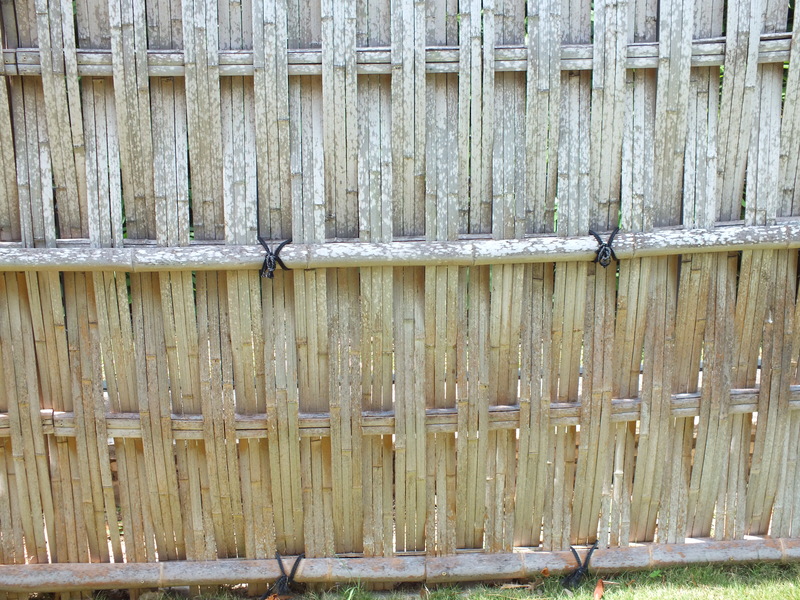 An otsu-gaki or woven style bamboo fence is visible in the background along the back boundary of the garden. Yasui asked Don to help sustain and manage the Kumamoto en. 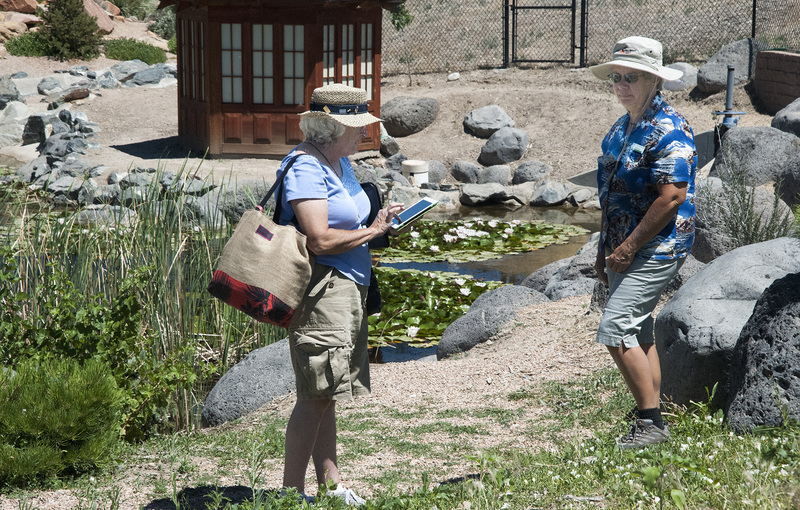 He also asked Don to take what he had learned and teach others about the benefits, methods, and enjoyment of Japanese Gardens. 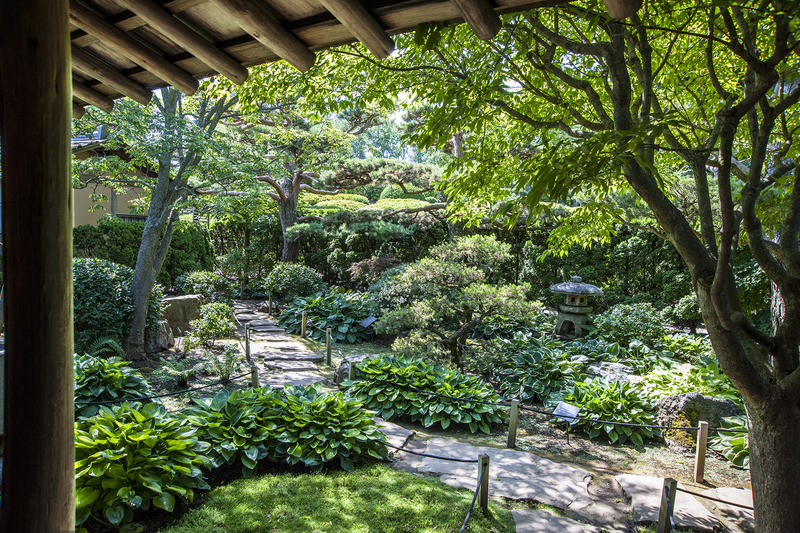 In addition to continued study and demonstrations in Japanese gardening, the Japanese Gardening Organization was created with the mission of spreading the benefits of Japanese gardening for individuals, groups, communities, and society. JGO provides educational resources to foster the exchange of culture, knowledge, appreciation and application of Japanese gardening, striving for the highest level of accurate information and resources for Japanese gardening. It continues to grow, with its associated forum accumulating over 11,000 posts from Japanese gardeners worldwide. Today, Don Pylant works for the City of San Antonio developing and managing the resources for more than 6,000 acres of Natural Area Parks and Edwards Aquifer Protection preserves. 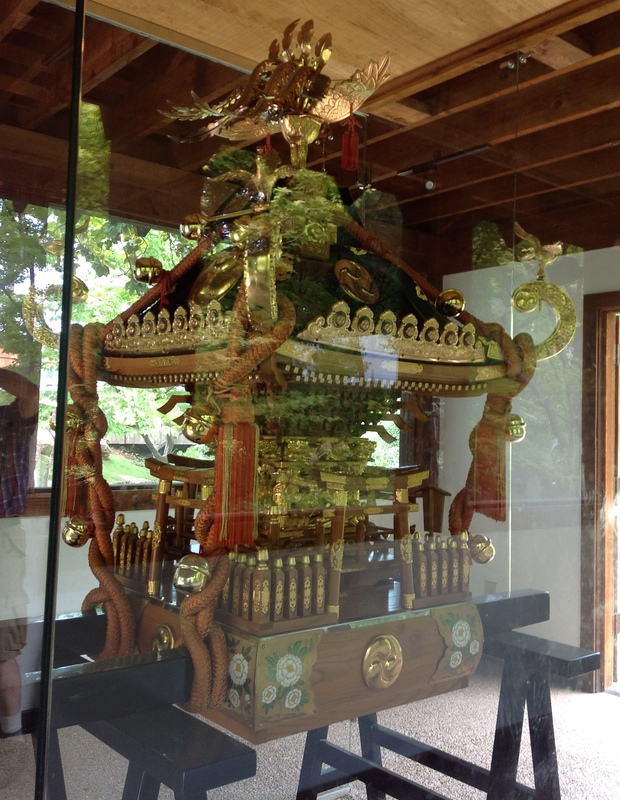 He has continued to assist in the maintenance of Kumamoto En and is consultant for the Japanese Tea Gardens in Sunken Gardens, Brackenridge Park in San Antonio, Texas. 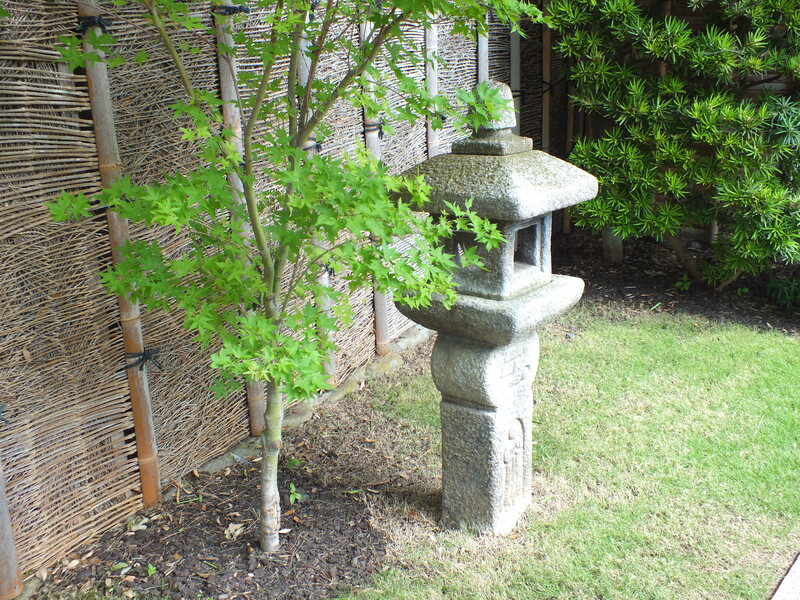 He designs and constructs Japanese gardens by request. 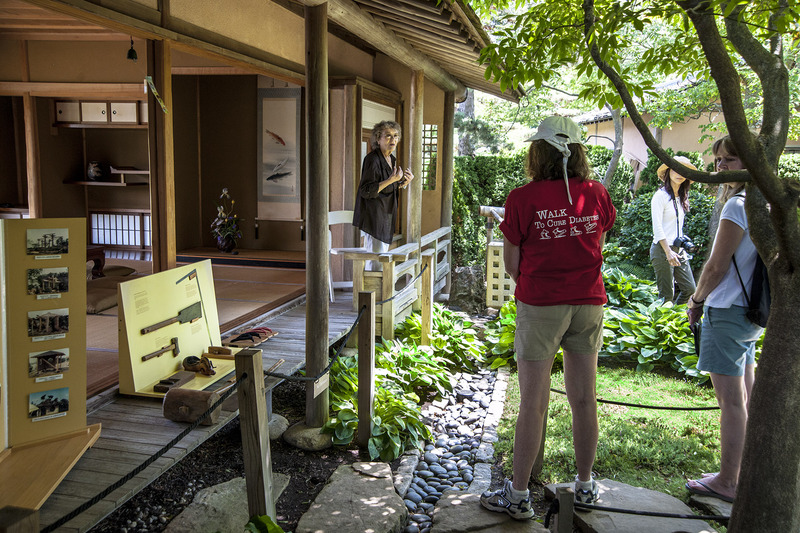 The Japan America Society of San Antonio continues to support the garden with annual co-sponsorship of Kumamoto en Day providing Japanese cultural, art, crafts and gardening demonstrations, along with tours of of the garden. Don Pylant and K.T. Cannon-Eger listen to Candace Andrews explain the master plan for the botanical garden. When we met at the carriage house entry to the botanical garden, Don introduced us to Candace Andrews, Director of Community Relations and Marketing for San Antonio Botanical Society, the non-profit organization chartered in 1980. “The mission of this organization is to support the San Antonio Botanical Garden in its role of inspiring people to connect with the world of plants, and to understand the importance of plants in our lives,” Andrews said. 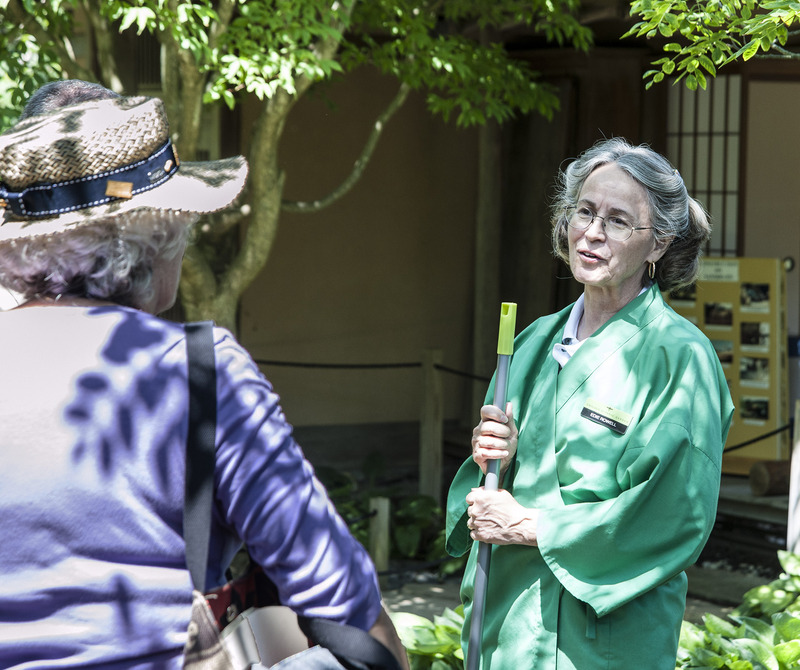 She spoke of the importance of volunteers to the garden, both in maintenance and as docents. The society operates the gift shop, proceeds of which support the garden. All rental proceeds and a portion of the restaurant income go toward the garden. She explained the San Antonio Botanical Garden is in the midst of master planning. Five year target is for the Society to take over from the city, privatizing the gardens. Opened May 3, 1980 after nearly four years of construction, the San Antonio Botanical Garden is operated under the auspices of the City of San Antonio Department of Parks & Recreation. Bob Brackman has been executive director since 2006. 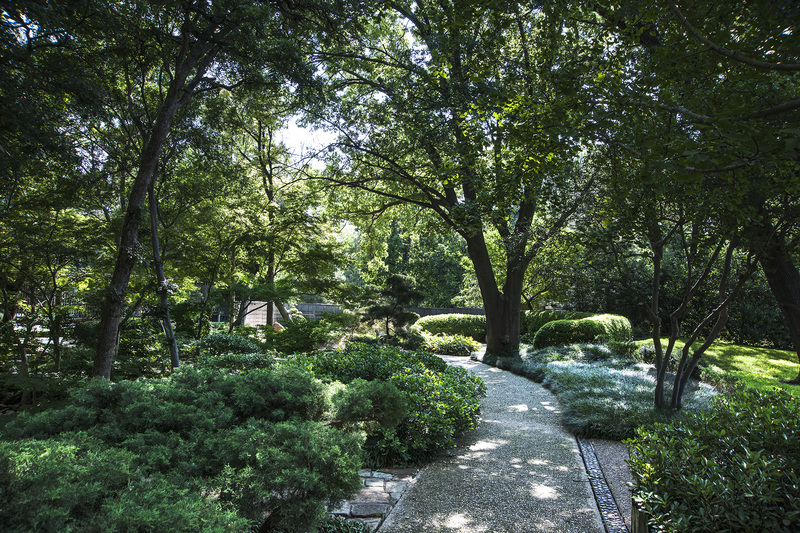 Before accepting this position, he served for nearly 13 years as Vice President and Director of the Botanical Garden at the 55-acre Cheekwood Botanical Garden and Museum of Art in Nashville and prior to that for more than 12 years as the Director of Horticulture for the Dallas Arboretum and Botanical Garden. Brackman joined us at the azumaya in the garden. 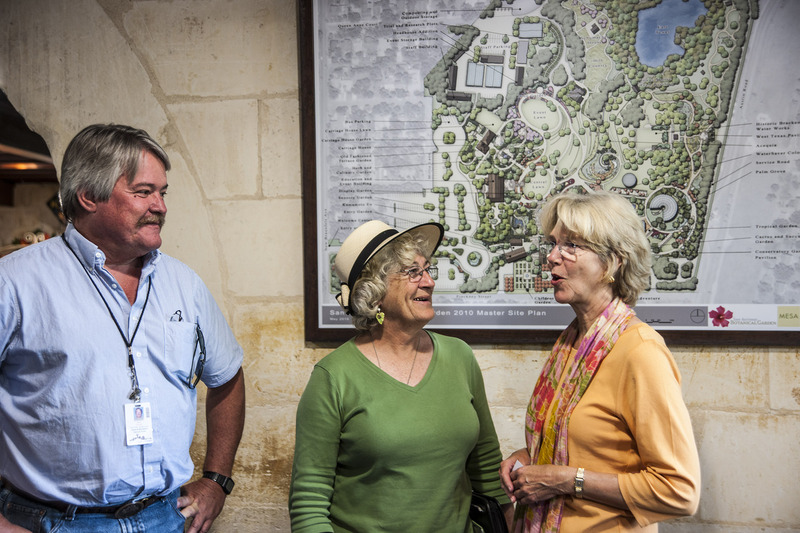 In his six-plus years with the San Antonio Botanical Garden, Brackman has led the completion of the Master Site Plan for the Garden. This new plan will be the framework for future development at this 38-acre botanical and educational facility. In addition, while working with the City and the Board of the Botanical Society, he has seen the approval of a new management agreement between the City and the Society which will eventually transfer the operational management of the Botanical Garden to the Society. 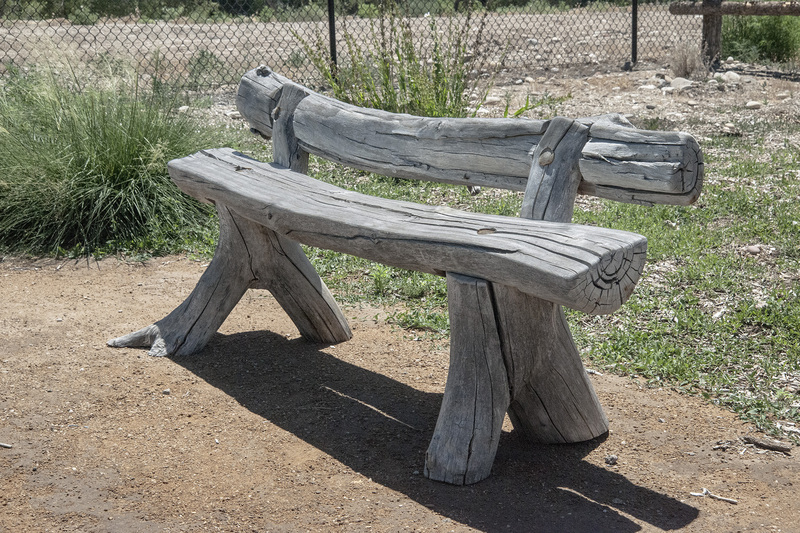 In the midst of an extended drought, San Antonio gardens have shut off many water features. 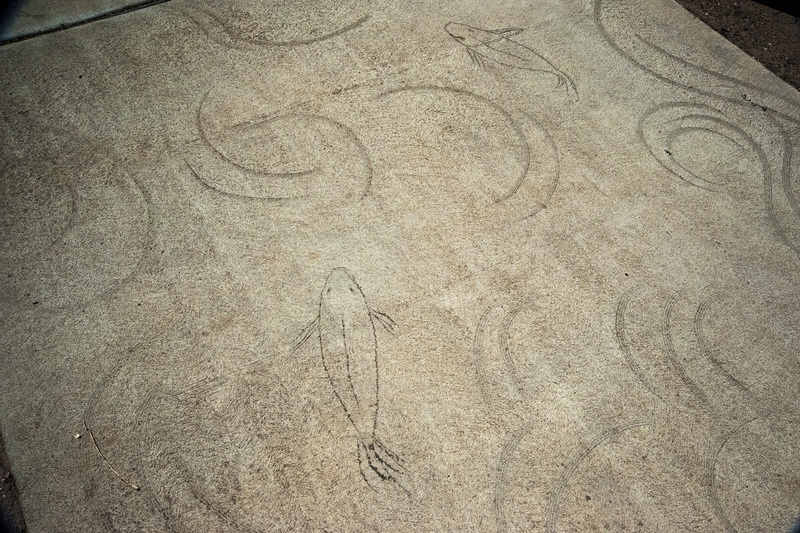 One exception to the regulations is ponds in which fish are living. My particular favorite about this pond is the stepping stones that disappear into the water. “Mrs. 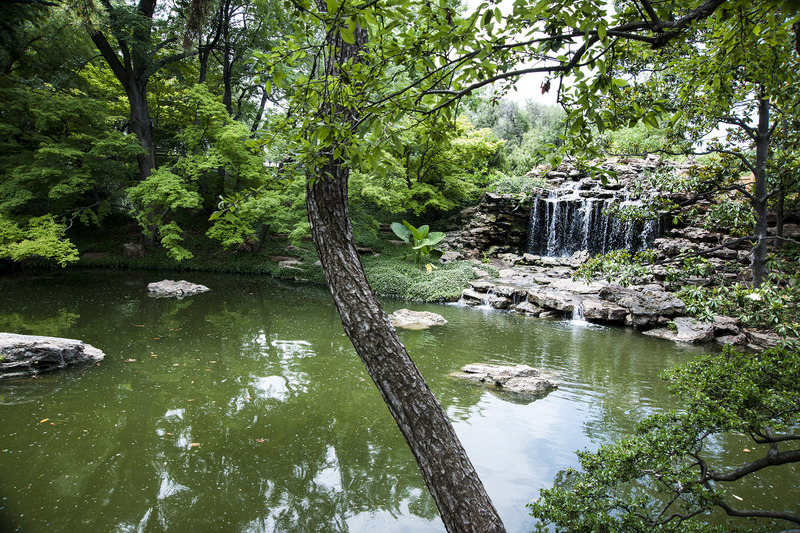 R. R. Witt and Mrs. Joseph Murphy conceived the idea of a Botanical Garden in San Antonio in the 1940s. Together with their friends and associates, they organized the San Antonio Garden Center. Their first major effort was the development and presentation of a master plan for a public botanical garden in the late 1960s. The recommended garden site became the former Brackenridge waterworks land which was being held by the city. 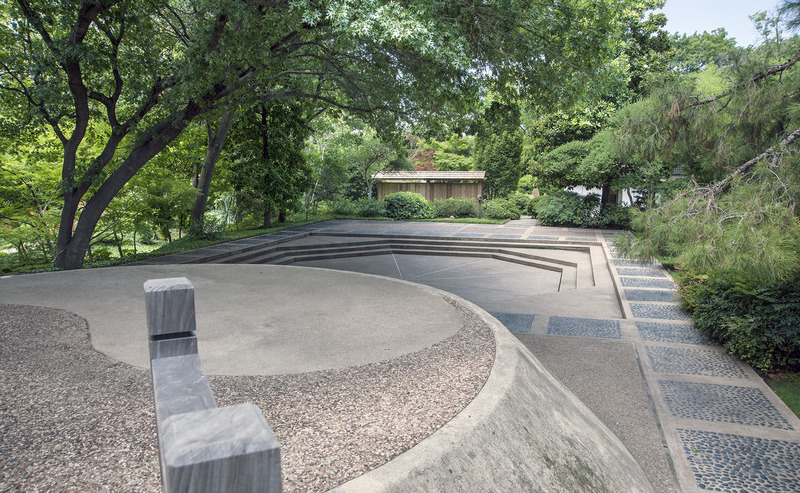 “Funding for ground work began in 1970, when voters approved $265,000 in bonds for the Garden. This money, along with a grant awarded five years later by the Ewing Halsell Foundation, other contributions from organizations and individuals, and a significant grant from the Economic Development Administration helped pay for the project. Ground-breaking ceremonies were held on July 21, 1976. The official opening was May 3, 1980. “The entire site is now known as the San Antonio Botanical Center. This includes both the 33-acre San Antonio Botanical Garden and the adjacent San Antonio Garden Center. The Garden Center is operated under contract by the non-profit Garden Center, Incorporated, although the facility is still owned and maintained by the City of San Antonio. Unless otherwise credited, photos in this blog are by K.T. Cannon-Eger. To see a full size image of any photo, click on it. 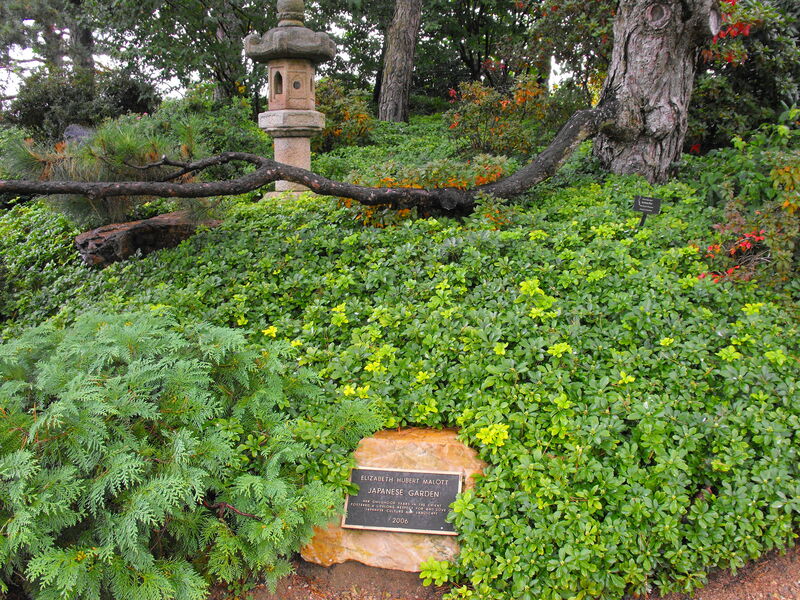 There are two plaques commemorating the Sister City relationship between Kumamoto in Japan and San Antonio, Texas: one from the original garden dedication in 1989 and another from the renewal in 2005. Here is the English text from both. 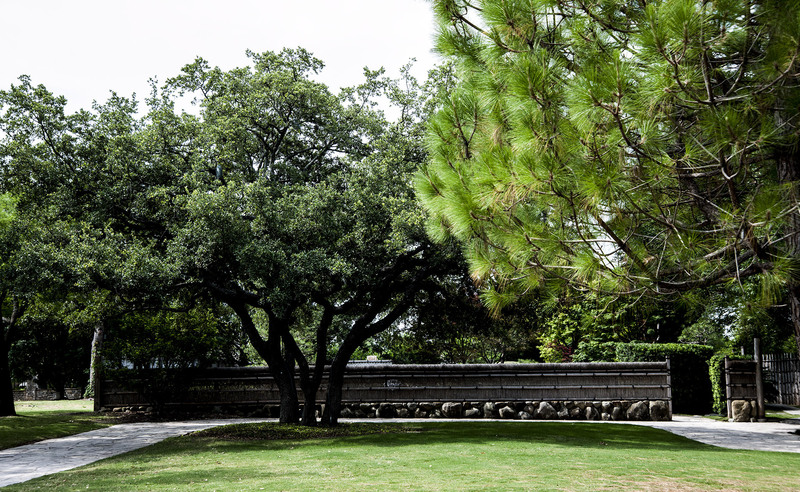 “In the spirit of this relationship, both cities hope for eternal peace and continuing friendship between our two cities and our countries as we work together to create this Japanese garden on San Antonio soil. 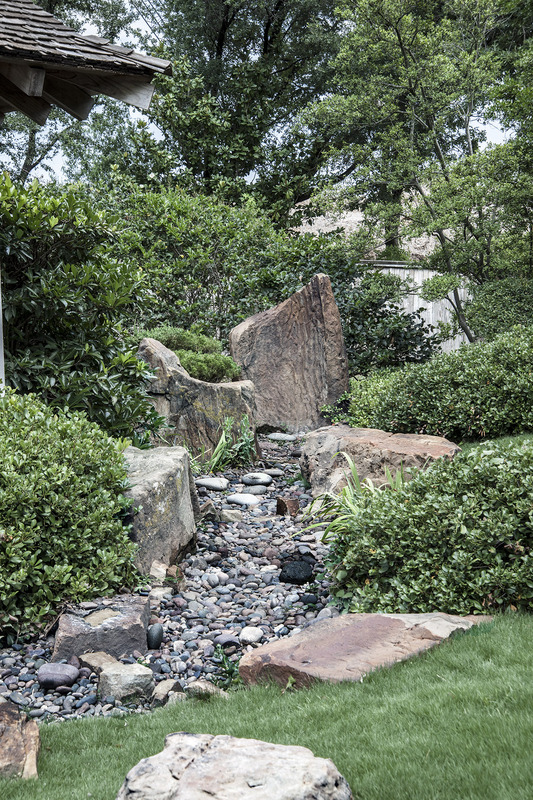 “To honor the spirit of friendship between the Sister Cities of San Antonio USA and Kumamoto Japan, we celebrate the renewal of the Kumamoto En Japanese Garden. “The Japanese Garden was a gift to the people of our two cities and a desire to share in each other’s culture and spirit of friendship. In retirement, some begin an “encore” career, others volunteer in a field of personal interest and others put time and effort into achieving a life-long dream. 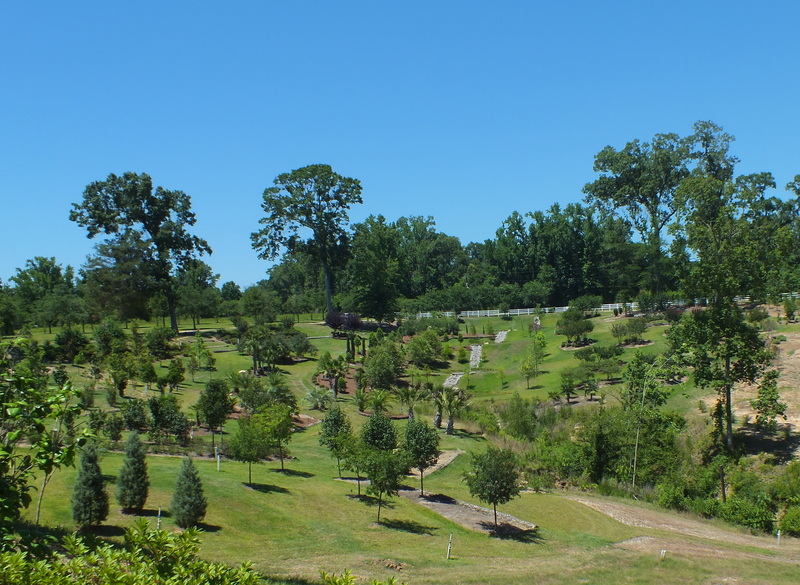 With his 54-acre botanical garden in St. Francisville, Louisiana, Walter Imahara is doing all three. I first learned of Imahara from a family member who was his classmate in Baton Rouge at Istrouma High School in 1955. “You’ve got to see what he’s doing,” our cousin insisted, when we told her we were coming to New Orleans. 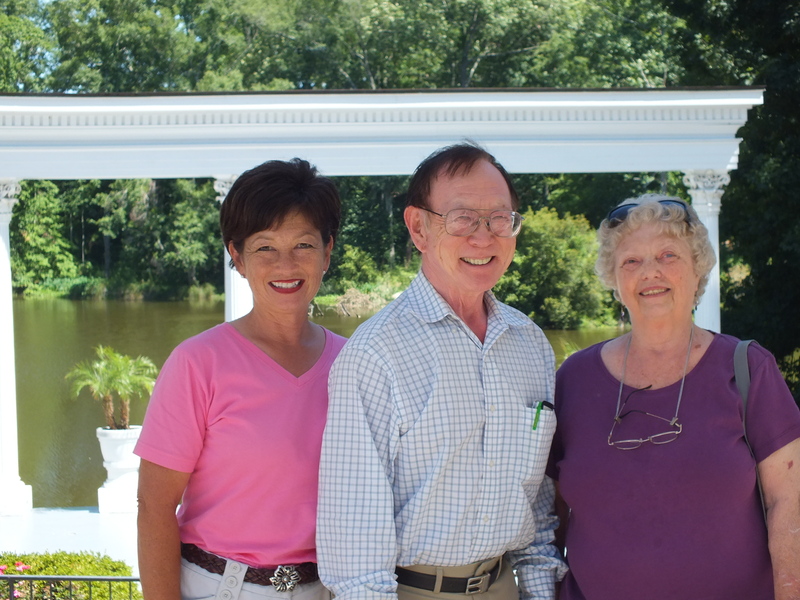 So, on Friday June 1, my husband Bill and I drove to Baton Rouge, picked her up and continued on to St. Francisville where we met a vibrant and fascinating family. 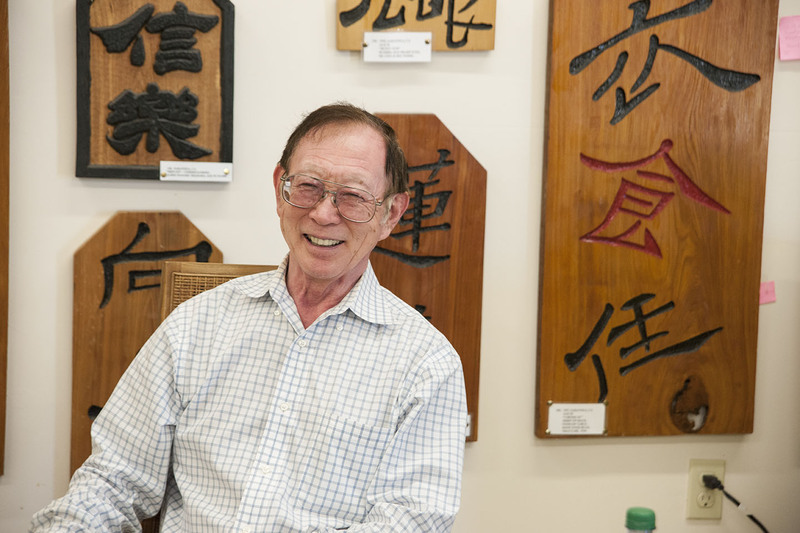 Walter’s parents, James and Haruka Imahara were among several “Cajun Nikkei” – Japanese American settlers in the New Orleans area following release from a World War II internment camp in Arkansas. 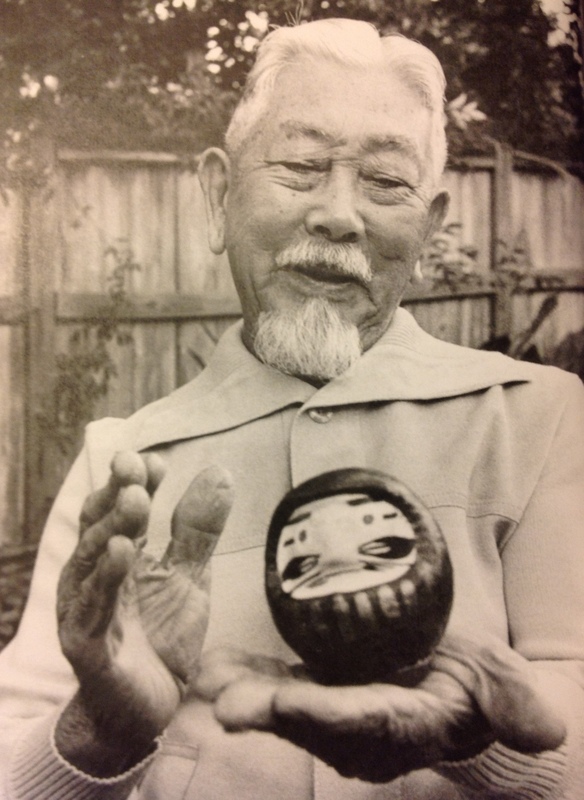 Born in 1903 in Watsonville, California, James was the son of immigrants from Hiroshima. In California the family owned farm land and raised strawberries, grapes, and fruit trees. In 1941, James was in his Model T when he heard of the attack on Pearl Harbor, an event that altered the lives of every American. “My family lost everything, including the family home and farm we worked so hard for 20 years to improve only to get locked into concentration camps for more than three years,” he said in his later years. James worked for a nursery business in New Orleans propagating houseplants and raising vegetables on the side that were sold Villa in St. at the French Market. Within a few years, he was hired by the owners of Afton Villa to restore gardens in St. Francisville and then moved to Baton Rouge to begin his own business. In a book about their family, Family Dreams, Journey of the Sansei, author Diane Koos Gentry recounts the Imahara story, gathered in interviews over 20 years. Many of the quotes that follow are from this book. Copies are available from Imahara’s Botanical Garden. 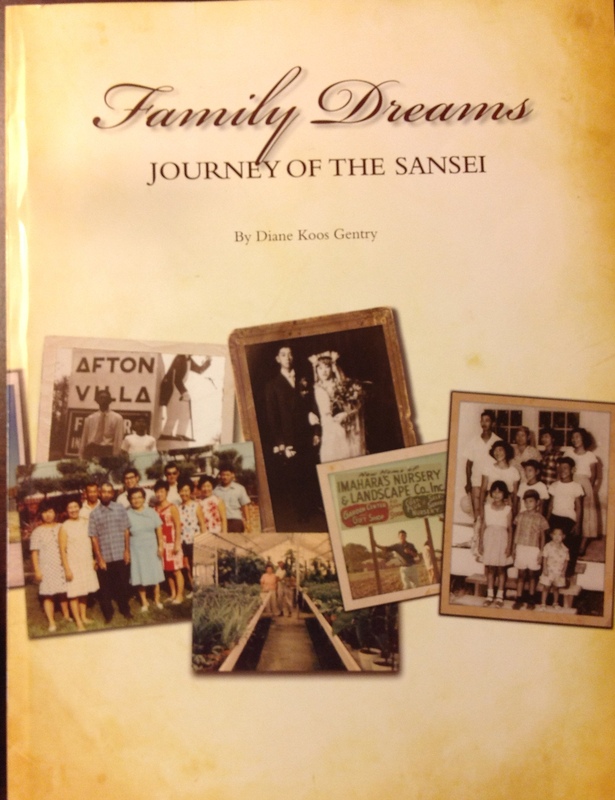 Family Dreams: Journey of the Sansei was written by Diane Koos Gentry and copyright 2008 by Walter Imahara. When restoration at Ashton Villa was complete, the family moved back to Baton Rouge where James took a job at a nursery then started James’ Gardening Service. Walter chose a major in horticulture at the University of Southwest Louisiana at Lafayette where he discovered another passion in his life: weightlifting where he is described as being a fierce competitor and national champion. As the 1950s drew to a close, James Imahara received a small percentage of his requested claim for compensation on the loss of California property and farm land during World War II. That settlement was enough to purchase several acres and a home in Baton Rouge. James and Haruka began planting grass to sell sod. “Baton Rouge was growing and prospering as the Imaharas were starting their mom and pop business. Growth meant new subdivisions to landscape,” Gentry writes. James was able to purchase a greenhouse from his former employer at Afton Villa. The couple propagated their own stock. The business grew as they waited for Walter with his degree in horticulture to come home. The year he graduated, 1960, the Army sent him to Germany for three years. “My father always told us, ‘Get an education, serve your country and buy land.’ Service in the military was expected of his sons,” Walter said. The year he graduated, 1960, the Army sent him to Germany for three years. Walter enlisted as a private, went to officer candidate school and came out a first lieutenant. In Germany, Walter met Sumi Matsumoto, an elementary school teacher from Berkeley, California. Sumi and her parents had been interned in Arizona. In 1963 they were married in Munich. When it was time to leave Germany, they moved home to Louisiana. The day we visited, Walter and Sumi celebrated 49 years of marriage. Walter joined his parents’ enterprise on the eight and one-half acres they owned, which was renamed Pelican State Nursery. Walter added three more greenhouses and assembled them on the property making 10,000 square feet of greenhouses and worked to grow small plants and vegetables, wholesale and retail. 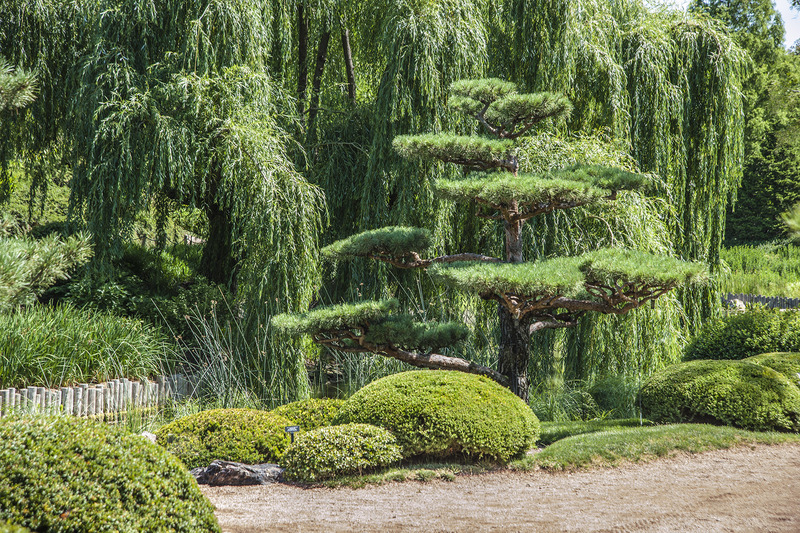 “James also grew specimen plants one couldn’t find anywhere else like large junipers and topiary trees.” By 1968, Imahara’s included a retail garden center and landscape business. Walter sold the landscaping location in 1984 and built a second more modern garden center on Perkins Road in Baton Rouge. The old location was 5,000 square feet. The garden center on Perkins Road totaled 17,500 square feet. In addition, there was enough land to build 35,000 square feet of retail space in the future. 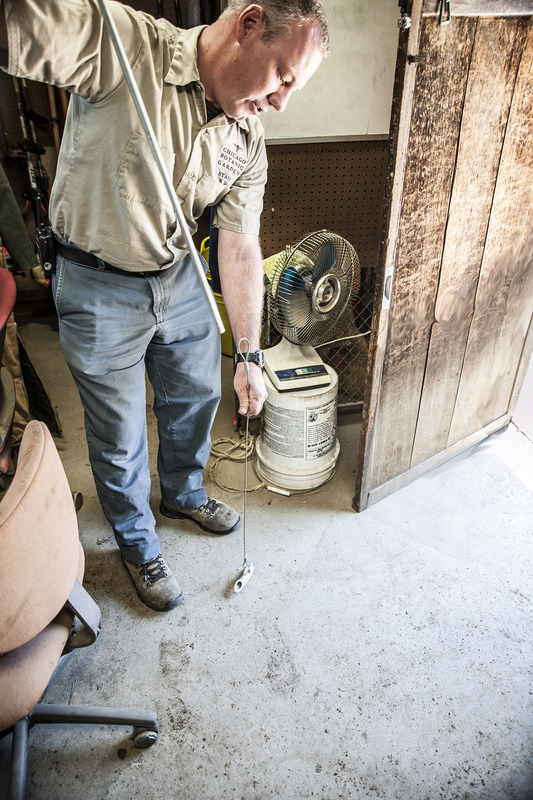 The new garden center was designed to Walter’s specifications with concrete walkways and an automated sprinkler system. Such innovations reduced labor costs and maximized profit. His leadership extended to nursery and landscape associations such as the Baton Rouge Nursery and Landscape Association, the Louisiana Association of Nurserymen, the State Horticultural Commission, the Southern Nurserymen Association and the National Landscape Association and in 2002 Walter was named to the National Landscape Association Hall of Fame in Louisville, Kentucky. All was not peaches and cream. Shortly after the new center opened, Walter’s sister May was diagnosed with lung cancer. Within three months, the financial stalwart of the company was dead. For the next few years, Walter tried to coax family members into joining the firm. Niece Wanda, is sister Lilly’s daughter, had completed the five-year landscape architecture program at LSU and was working at a high paying job in Washington DC. “Though it may not have been evident to either of them at first, Walter and Wanda, who had very different personalities in 1987 and clashed frequently, proved to be ideal partners in the landscape company. Each had individual strengths and talents and complemented the other, forging a stronger business,” Gentry writes. “The first big commercial landscaping project Wanda tackled was the new Blue Cross/Blue Shield headquarters in Baton Rouge. ‘I saw the building nearing completion and talked to Uncle Walt,’ Wanda remembered. ‘Imahara’s had not put in a bid. I called and asked for the opportunity to bid on landscaping the building inside and out. Wanda’s enthusiasm, drive and creativity added maintenance contracts on the larger commercial projects they installed to provide a more steady income stream and to provide service to those customers. Walt handed over the reins of the landscape enterprises to Wanda and kept busy with real estate ventures. A long-time dream to own property in St. Francisville came true with the purchase of their second home on 15 acres in 2001, which he landscaped with camellias, azaleas, cherry trees, crepe myrtle, many varieties of magnolia and holly, weeping yupon and yew, palms, crab apples and weeping mulberries, among others. The entire residential property is served by irrigation and every plant is labeled. Another dream is three years along the path to realization. 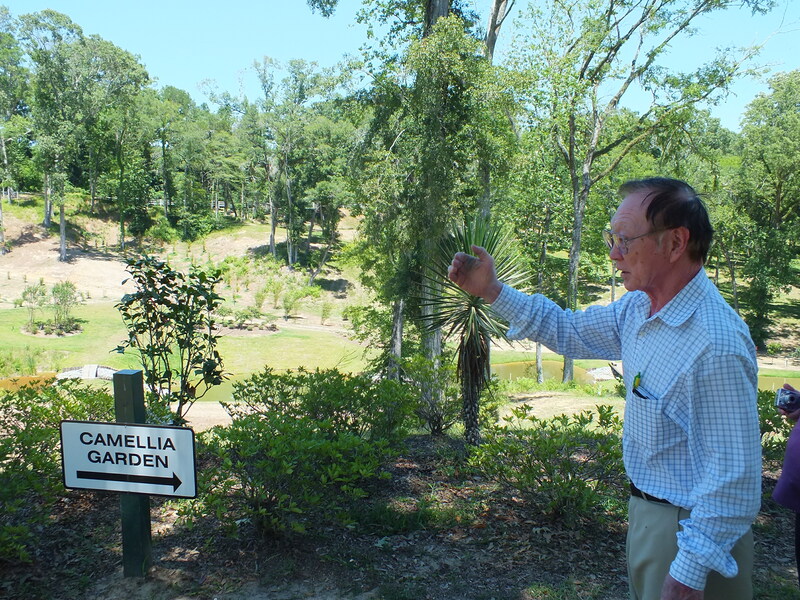 Walter bought 54 acres on Mahoney Road in St. Francisville and spent a great deal of time clearing wilderness, rutted by Mississippi River floods and erosion. Walter Imahara gestures across the camellia collection toward sugi pines planted on the far gully. Three days a week, Walter and two workers planted a hundred or more plants a day. To minimize erosion, centipede grass sod was installed plus tree logs and treated poles are used to edge beds and create a terraced effect. Three year old camellias are starting to fill in along the edges of the forest. Two and a half year old ginkgo trees, three-gallon pots when planted, are now taller than I am. The years of landscape experience are bearing fruit in this infant garden – all the beds are prepared to receive and nourish plants. Garden materials were planted in groups of threes and fives. “The landscape was designed by sight so that a great view can be seen from anywhere in the garden. A 225-foor deep well, with a four-inch pipe installed, provides substantial volume and pressure to allow as many as 10 sprinklers to run at once,” according to a garden flyer. 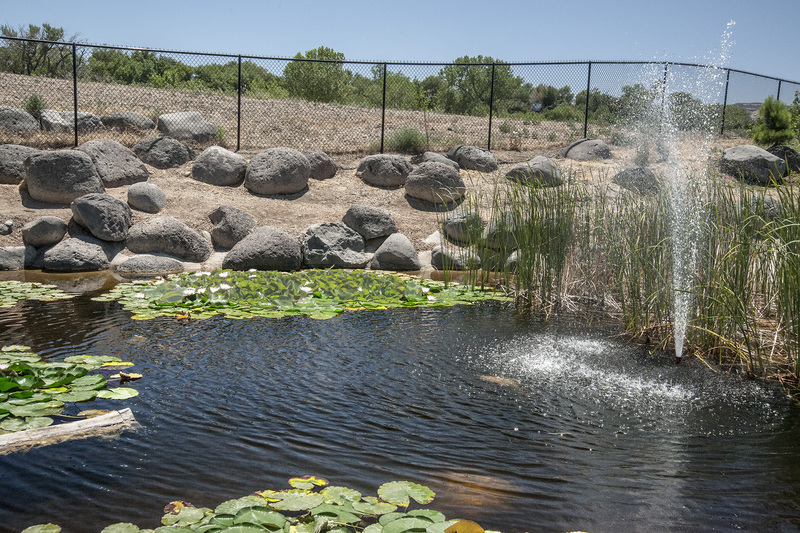 Three of nine connecting ponds are visible in the distance — one pond for each child of James and Haruka Imahara. In the camellia garden, varieties include Funny Face Betty, Gunsmoke, Purple Dawn, Royal Velvet, and more than 90 other cultivars. More than 3,000 azaleas are planted, some to eventually develop into a huge karikomi on one hillside. Varieties include Judge Solomon, G.G. Gerbing, George Tabor and the Encore series. 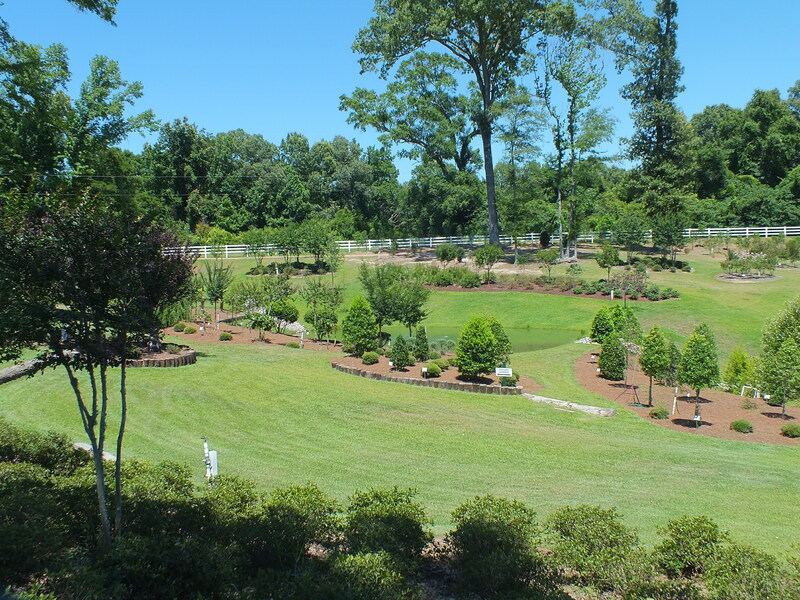 Collections of magnolias, weeping trees, hollies, maples, purple leaf plums, crape myrtle and a stand of Cryptomeria japonica (Sugi pine) are among other major plantings. Nine connecting ponds have been installed, one for each child born to James and Haruka Imahara. “Come back …” Oh yes, I want to see this garden as it grows and matures. 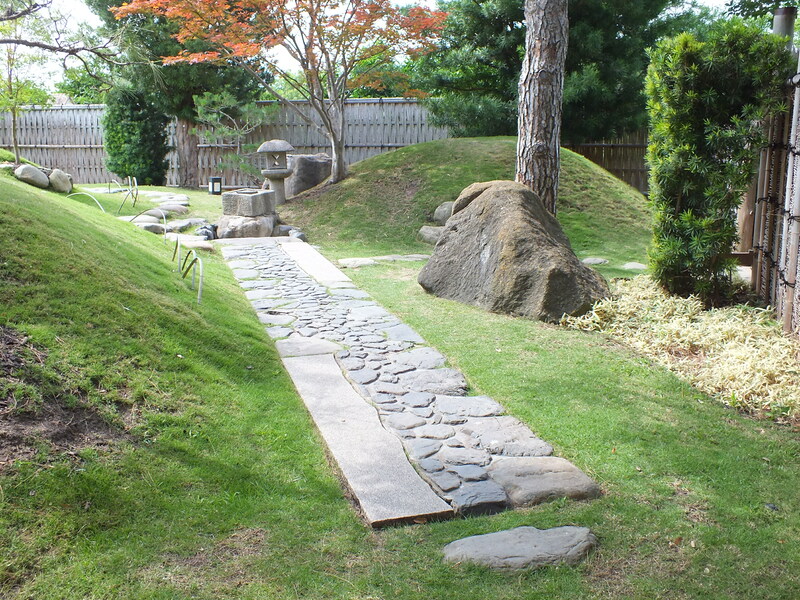 For more information on Imahara’s Botanical Garden, visit their blog site imaharasbotanicalgarden.blogspot.com or to schedule a tour or special event, contact them at imaharas@aol.com or (225) 635-6001. The mailing address is P. O. Box 605 St. Francisville, LA 70775. Thank you Wanda and Walter for your hospitality and thank you cousin Ruby for bringing us together. Wanda, Walter and Ruby enjoying the tour of nearby plantation properties. What a wonderful visit to St. Francisville!